Oybek Kimsanbayev’s life is like a Hollywood film: a brilliant scientific career, crushing failure, departure from his native country, work on a construction site, and his first experiments with cotton in Russia. A heated discussion was underway at Volgograd State Agricultural University. Local and university officials were telling a visiting deputy agriculture minister about the local curiosity: cotton. Imagine, they told the deputy minister, it grows here, and the quality is even excellent. They dreamed aloud how it would be grown on an industrial scale. All that was needed was state support and processing complexes. While the officials were singing cotton’s praises to the deputy minister from Moscow, a man with a haggard face stood in the doorway of the conference hall. He nervously bit his lips, alternating his gaze between the floor and the audience. Oybek Kimsanbayev heads a group of scientists who have developed varieties of cotton capable of growing in the Volgograd Region’s climate. The region is recognized as the northernmost point in the world where it is possible to grow cotton. Although he was the most important person in the room, Kimsanbayev was not on the list of speakers. Everyone except the man who had made the conversation possible talked about cotton and the prospects of its cultivation in Russia. 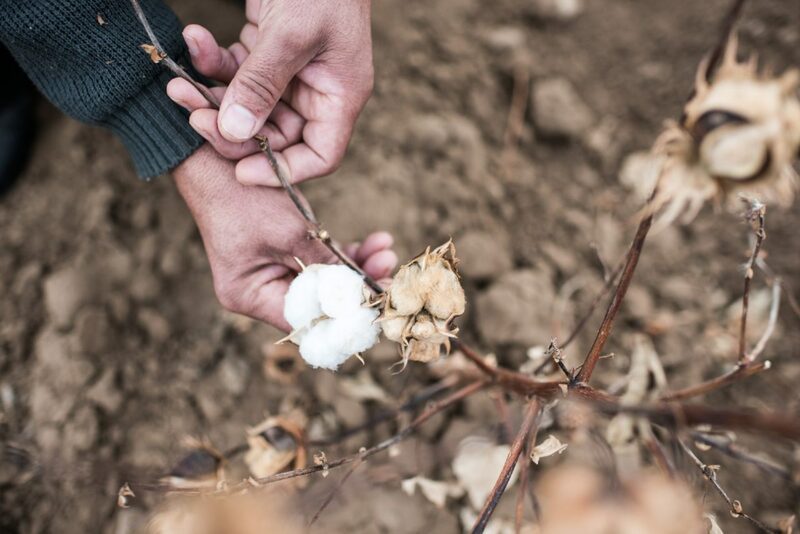 (Given a skillful approach, Russian cotton might challenge the US and China’s hold on the market.) However, at some point, the university’s rector realized the discussion lacked something and gestured for Kimsanbayev to come and sit down at the round table at a place that had happily been vacated. Kimsanbayev tells journalists nearly the same story when asked why he started researching cotton in Russia, adding that he is very grateful. Were it not for reporters, few people would know of his work, and he scarcely would have been able to get the ear of the authorities. “In 2006, a cooperation agreement was concluded between Taskhent State Agricultural University and Volgograd State Agricultural University. Researchers launched projects on alternative crop production, meaning cultivatings crops that have not usually been grown in a particular area. One lab worked on reviving cotton growing in Russia. The outcome was a project for generating ultra-early ripening, high-quality varieties with a high fiber yield,” Kimsanbayev says at one go. We are sitting in small cafe in the Hotel Volgograd. It is pouring rain outside. Opposite our table is a group of foreigners. Judging the by patches on their blazers, they are FIFA officials, who have arrived in the city to monitor construction of the city’sstadium for the 2018 World Cup. Kimsanbayev is forty-three years old. Aside from Tashkent Agricultural University, he has a degree from the University of Seoul, taught at Columbia University, ran a lab, worked for the president of Uzbekistan in the early noughties, and at the age of thirty-five became the youngest doctor of agricultural sciences in his country. He has published hundreds of scientific papers, and he has developed and co-developed some two dozen varieties of cotton. Until 2012, he led an international project for creating ultra-early ripening cotton varieties. It was at this high point that Kimsanbayev’s life, chockablock with prospects and ambitious plans, fell apart overnight. Due to a mistake he discusses reluctantly, he was forced to leave Uzbekistan. Professor Kimsanbayev was forced to go to Russia to work as an ordinary migrant worker. 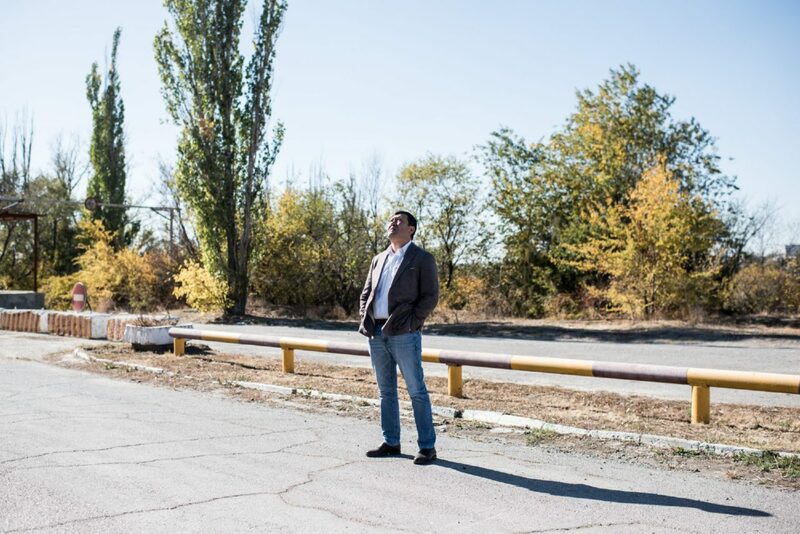 An acquaintance in Volgograd hired him to work for his company, to “make some moves,” as Kimsanbayev puts it. Chance brought Kimsanbayev together with good people who took him to Volgograd State Agricultural University. 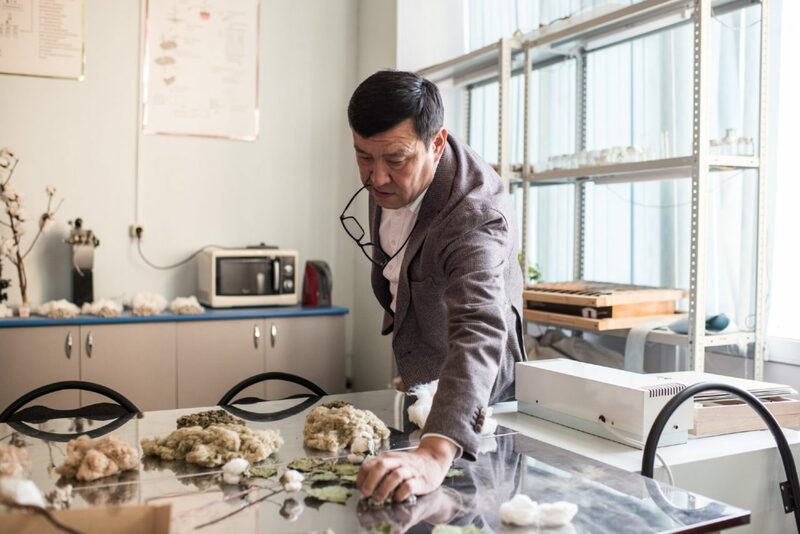 After a long interview with the rector and after he supplied the university with his academic credentials, Kimsanbayev was appointed a lecturer in the agricultural technology department. Realizing the worth of their new faculty member, the university rented a flat for him. He was given the chance to do what he does best: experiment with cotton. The first year, Kimsanbayev planted only 25 acres. The professor did everything himself in a field the size of four typical dacha plots. He sowed it, plowed it, watered it, and did battle with weeds and pests. Many people doubted the seeds would sprout. The following year, the experimental cotton field had grown to eight hectares. 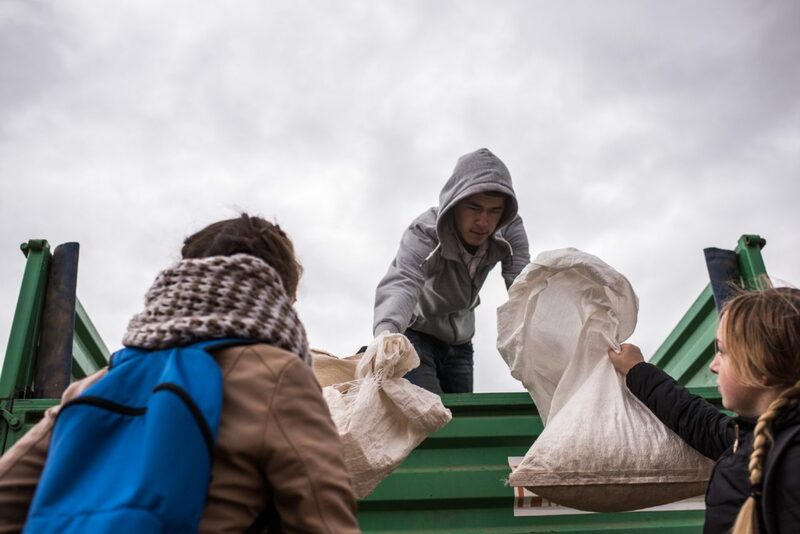 To help him with the work, Kimsanbayev hired Uzbek agronomists and encouraged the university’s students to join them. The outcome: not only did the cotton seeds sprout, but the field turned into a white carpet in due time. Kimsanbayev now heads the university’s Center for Applied Genetics, Selective Breeding, and Cotton Seed Production. In total, 109 hectares were planted with cotton this year. Kimsanbayev says that Allah loves him. Otherwise, he would not have sent him so many trials and so many people, willing to help him just like that, without asking anything in return. Kimsanbayev suddenly falls silent. The expression on his face changes noticeably when the conversation turns to family and children. His eldest daughter and son are seventeen and sixteen, respectively, while his youngest son is five. Later, Kimsanbayev confesses he bought tickets for home right after our interview. The cotton harvest is nearing completion in the university’s experimental field. The agronomist Bahadir or, as he introduces himself, Boris, specially recruited from Tashkent for the experiment outside Volgograd, shows me how to pick cotton. It is fairly straightforward. You pull the fiber from the boll. If it gives, you keep pulling until you have all the white cotton in your hand. 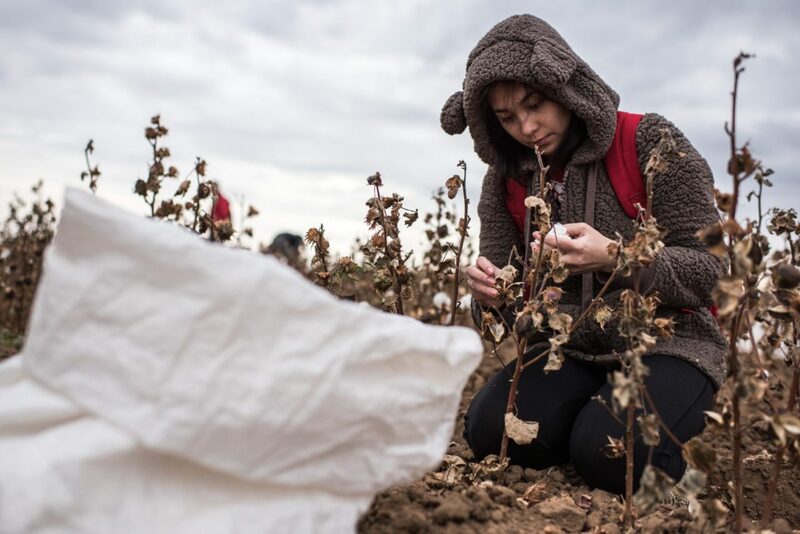 University students help pick the cotton. The white caps from the cotton plants are quickly deposited into sacks. Soft as a cat’s paw, the fiber is pleasant to the touch. The softness is a small reward for one’s efforts. Pulling the cotton from the boll without being pricked is nearly impossible. There are several unusual rows on the edge of the large field. The cotton there is not white, but dirty yellow and brownish green. It transpires that this year the Volgograd researchers bred a special variety of colored cotton. Someone joked the military ordered green cotton for sewing its uniforms. Since Oybek Kimsanbayev joined its faculty, Volgograd State Agricultural University became the only university in Russia where cotton scientists are trained. The cotton from the experimental field is of very high quality. Its quality has impressed the local textile mill and a Moldovan company, almost the only full-cycle plant in the CIS where raw cotton is processed and fabric produced. 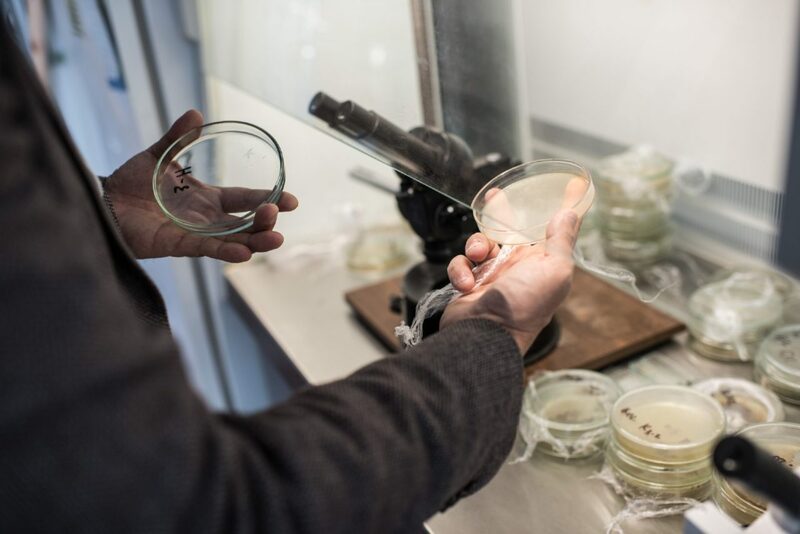 It is they who are hurrying the researchers in Volgograd to breed varieties that would yield 3,000 kilos a hectare. Cotton is the only crop that has several sets of genetic chromosomes. That is why it is perfect for different experiments.